This breathtaking 1 Light Flush Mount with Satin Nickel Finish is a beautiful piece from our Avoca Collection. With its sophisticated beauty and stunning details, it is sure to add the perfect touch to your dicor. This breathtaking 6 Light Flush Mount with Gold Finish is a beautiful piece from our Princess Collection. With its sophisticated beauty and stunning details, it is sure to add the perfect touch to your dicor. 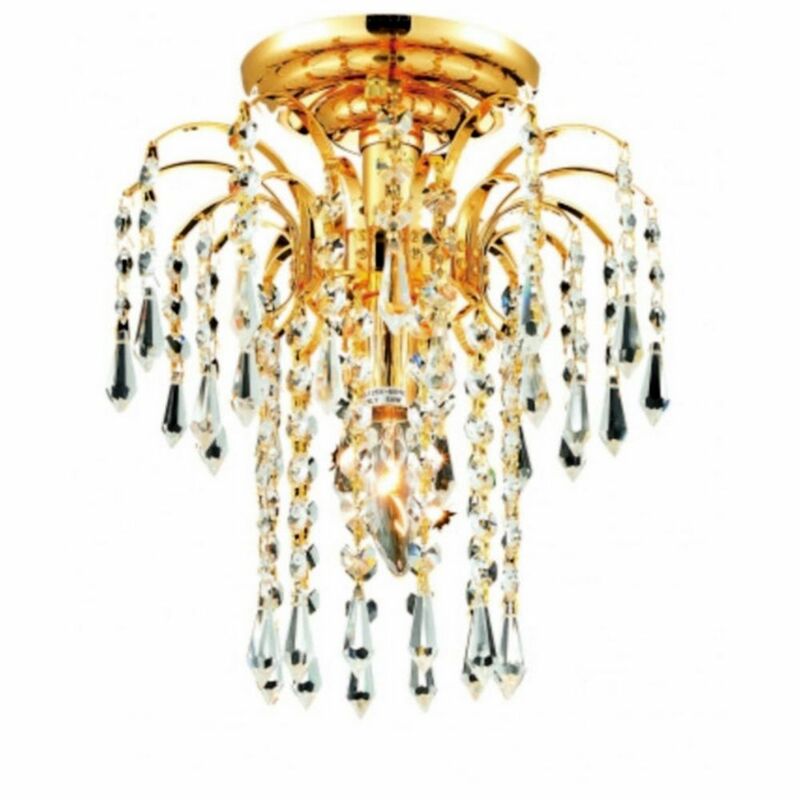 A stunning gold shade ceiling chandelier trimmed with spotless clear crystals to add an elegant touch to every home. Palm Tree 9-inch 1 Light Flush Mount with gold Finish This breathtaking 1 Light Flush Mount with gold Finish is a beautiful piece from our Palm Tree Collection. With its sophisticated beauty and stunning details, it is sure to add the perfect touch to your dicor. Palm Tree 9-inch 1 Light Flush Mount with gold Finish is rated 5.0 out of 5 by 1. Rated 5 out of 5 by Roadrunner from I love this little blingy light! I put it... I love this little blingy light! I put it in my closet and it's perfect for the space.